Watch Marathi song ‘Raat Bhar’ from upcoming movie ‘A paying Ghost (PG)’. Actor Umesh Kamat and Spruha Joshi are seen romancing in this chivalrous and soothing number. The actors have sizzled the silver screen with their chemistry in this song. The story is based on the famous book written by V.P Kale. The movie takes you into the world of ghosts. 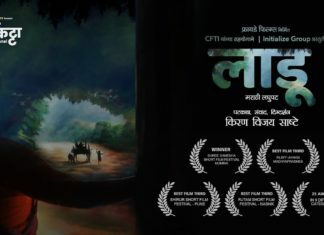 The film is directed by Sushrut Bhagwat and produced by Jayant Lade. Movie stars Umesh Kamat, Spruha Joshi and Pushkar Shrotri and is slated to release on May 29, 2015. Previous article‘Ajinkyatara Awards’ to be held in Mauritius! Next articleGrand World TV Premiere of ‘Avtarachi Gosht’ on Zee Talkies! 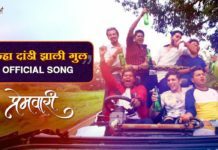 Tu Online Ye Na Song (Premwaari): Guru Thakur, Amitraj & Vaishali Samant Together!